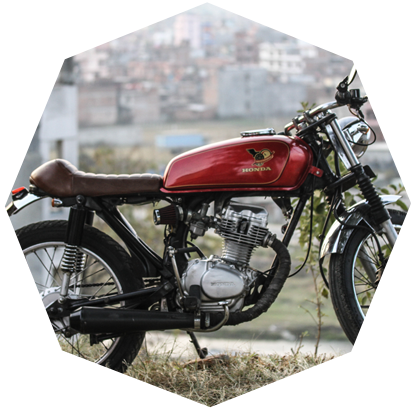 Some of our projects at BikerzAus Nepal. It’s the performance, looks but more of how it feels when you hit the road. 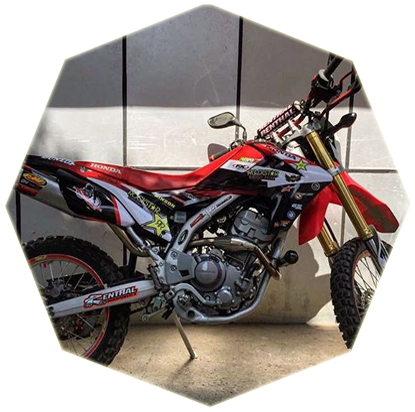 The stock CRF was undoubtedly good but we realized that this machine could be boosted to become something amazing. So with some research, and excitement, we put our heads and hands to work on this motorbike to give it a completely new feel. The Honda CG 125 may be familiar to many, but definitely not in this form. We always wanted to create a caferacer out of a vintage bike, and when we found a CG it was like a dream come true. Took quite a while but it was worth the wait.